We’d like to invite anyone attending the Association of American Geographers’ annual meeting in New York to join us at the 2012 Antipode AAG Lecture. We are pleased to announce that this year’s lecture is to be given by Gayatri Chakravorty Spivak (Columbia University). The date/time for your diary is Friday 24 February 2012 at 16:40. Prof. Spivak’s lecture will be in the Mercury Rotunda, Hilton NY, and will be followed by a drinks reception (for more details please click here). Antipode sponsors two keynote lectures each year: one at the Association of American Geographers meeting in the US; one at the Royal Geographical Society with the Institute of British Geographers conference in the UK. We invite presenters who represent both the political commitment and the intellectual integrity that characterise a radical journal of geography. Over the years a wonderful array of geographers and colleagues have presented lectures, including among others Marshall Berman, Tariq Ali, Bob Jessop, Gerry Pratt, Cindi Katz, Doreen Massey, Laura Pulido, and David Harvey. 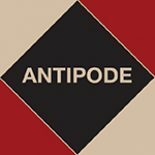 The Antipode lecture is often subsequently published in the journal, and since 2009 we’ve also been filming them – they’re available online here. This entry was posted on 17 February 2012 by Antipode Editorial Office in Other and tagged AAG 2012, AAG New York, Antipode lecture, Association of American Geographers', Gayatri Chakravorty Spivak.